When it comes to road-legal super cars, Porsche is up there with Ferrari, Lamborghini, Maserati, and a few others. Not only does Porsche keep building on the power of their vehicles but also on the aesthetics, and perhaps it is a bit biased of us, but their 2018 Porsche 911 GT3 is their best one yet. Powerful, aesthetically pleasing, and the car of the successful man, this Porsche 911 GT3 delivers on the money! Designed for speed, this 911 features a lightweight chassis with rear axle steering. 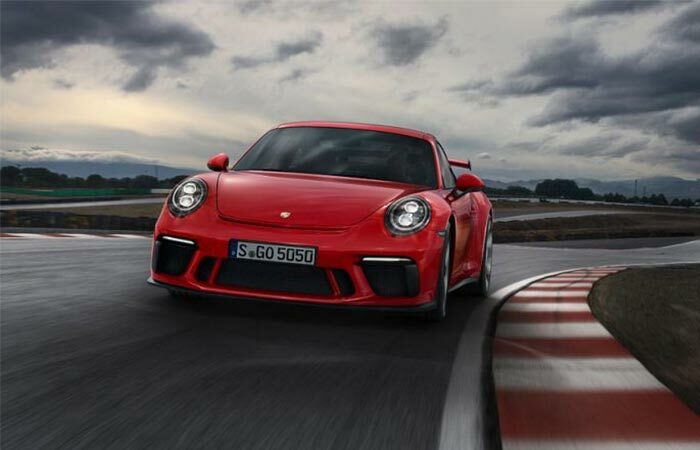 It features a naturally aspirated 4.0L flat six engine that was based on the type that is used in all of Porsche’s 911 racing cars. It also has an impressive acceleration of 0-60 mph in 3.2 seconds, and can reach a top speed of 197 mph. This is not surprising, when you take into account that it pushes out 500 horse-power. This is all modulated by its 7-speed dual clutch transmission. Check out the video below. 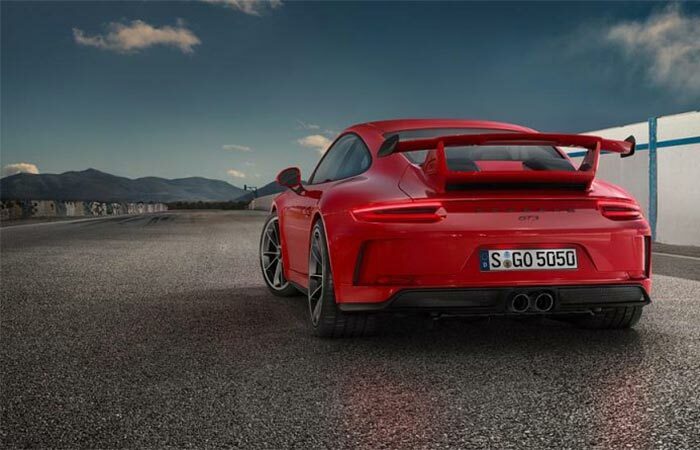 The exterior of the 2018 911 GT3 has been crafted to accentuate its curves, whilst giving it the much needed monster quality. In order to maximize its performance, this GT3 has been outfitted with a lightweight chassis. This makes it lighter, more aerodynamic, and drastically improves its power to weight ratio. It also features Rear Axle Steering, that steers the rear wheel in both the opposite, or the same, direction as the front. This is dependent on the speed, and the gradient of the turn. The interior is contrasted by dark features that are brightened by swaths of color. It’s designed to be just as mesmerizing as the exterior. 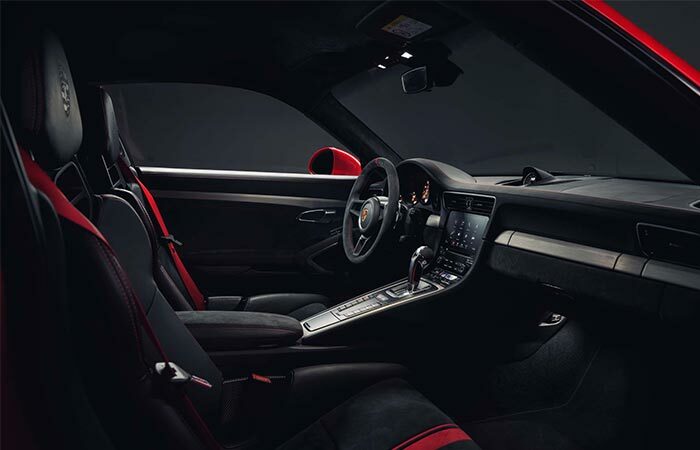 As for the interior, you’ll be pleased to be met with racing bucket seats, a GT Sport steering wheel, and an advanced dashboard that gives you crucial information. Check out some of the other Porsche’s that we have featured here.